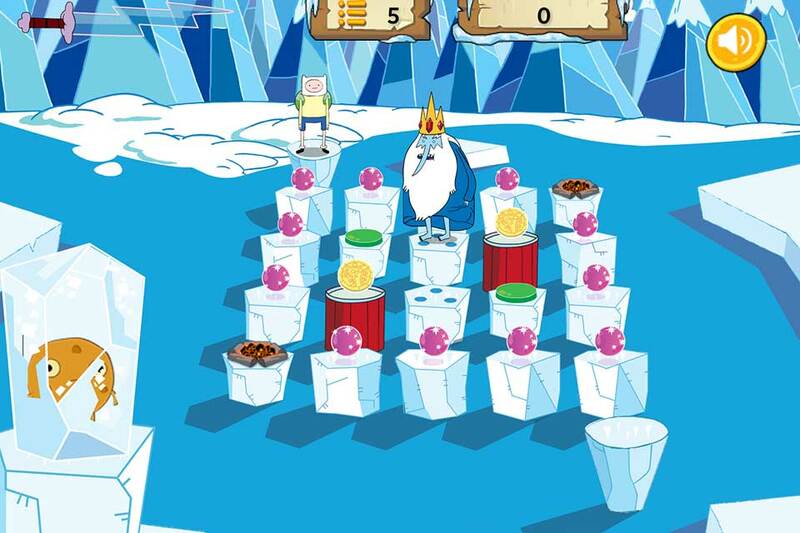 Frosty Fight is an arcade style game for the fantastic Adventure Time cartoon series on Cartoon Network. 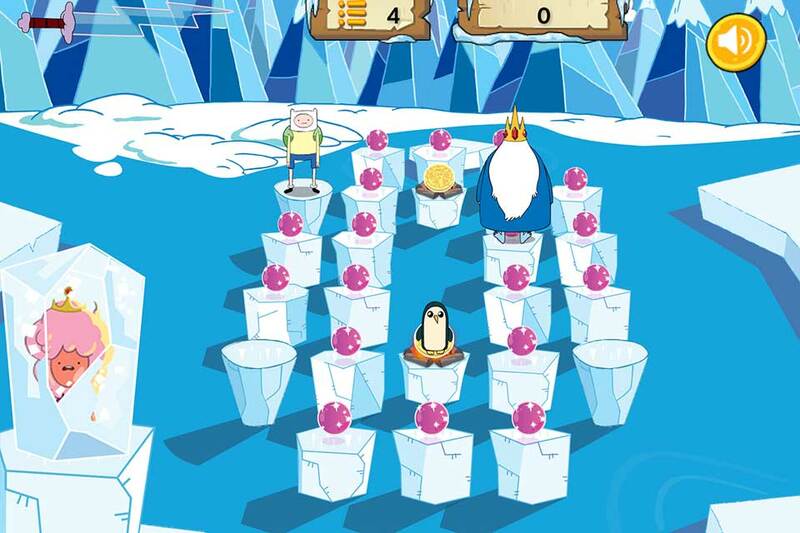 The princess obsessed Ice King has (yet again) kidnapped all the princesses including Bubblegum and frozen them in ice blocks. 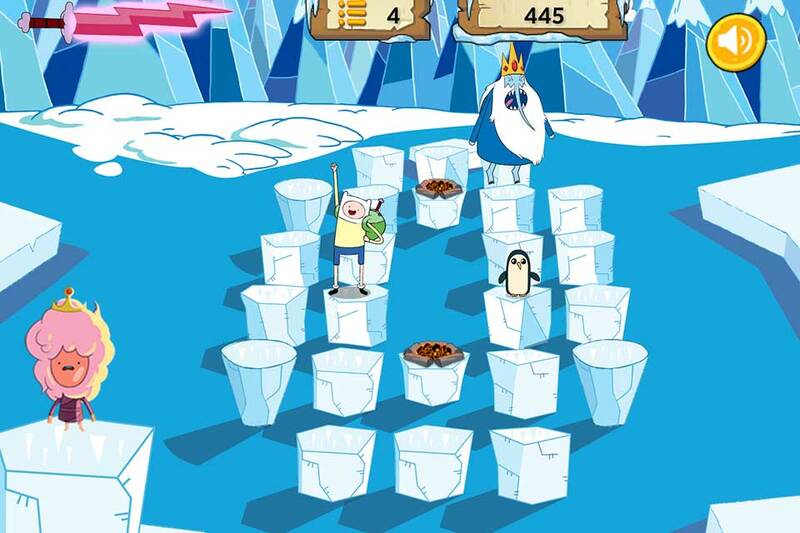 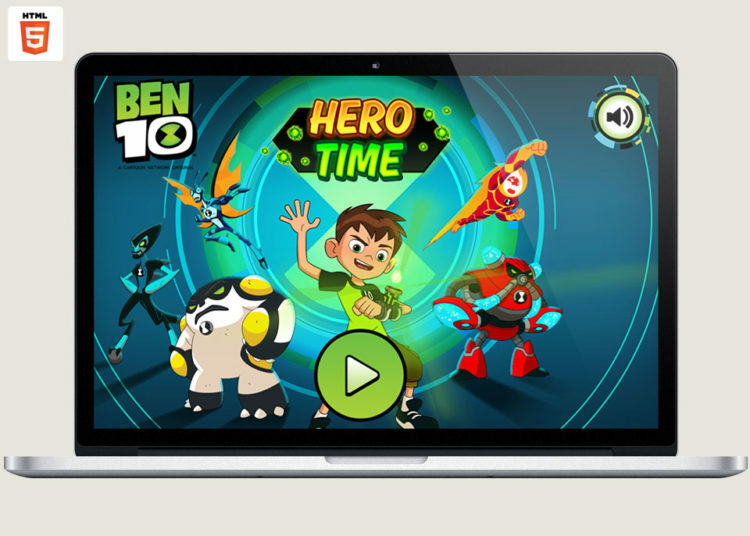 Play as Finn and travel to the Ice Kingdom to rescue 20 princesses from the clutches of the Ice King. 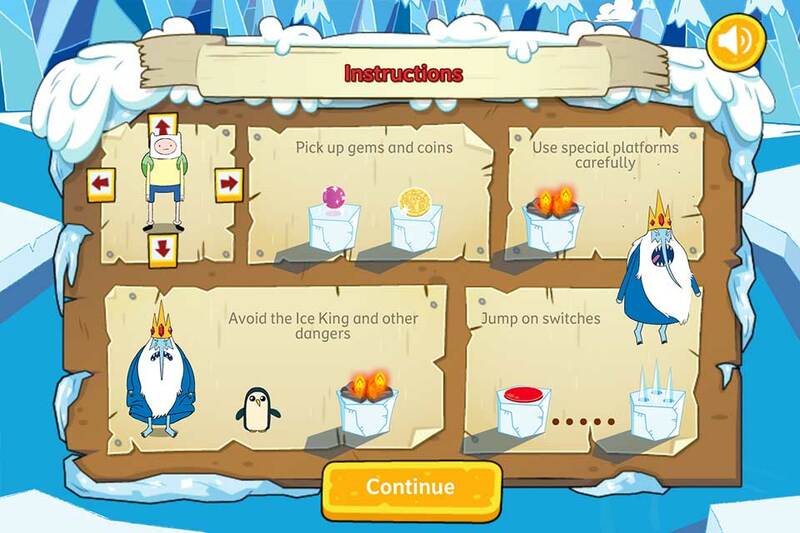 Jump across the icy platforms and collect power orbs to charge your Lightning Sword whilst avoiding the Ice King and his minion penguins. 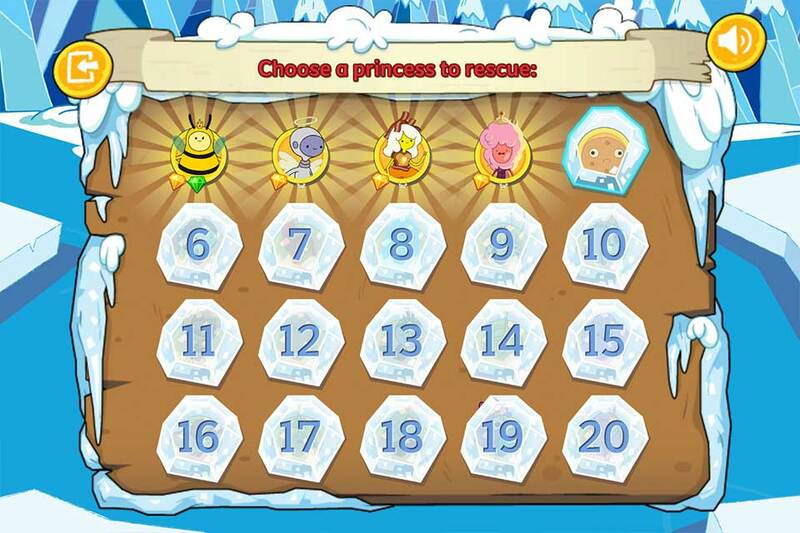 Once charged, destroy the icy prisons trapping all the princesses. 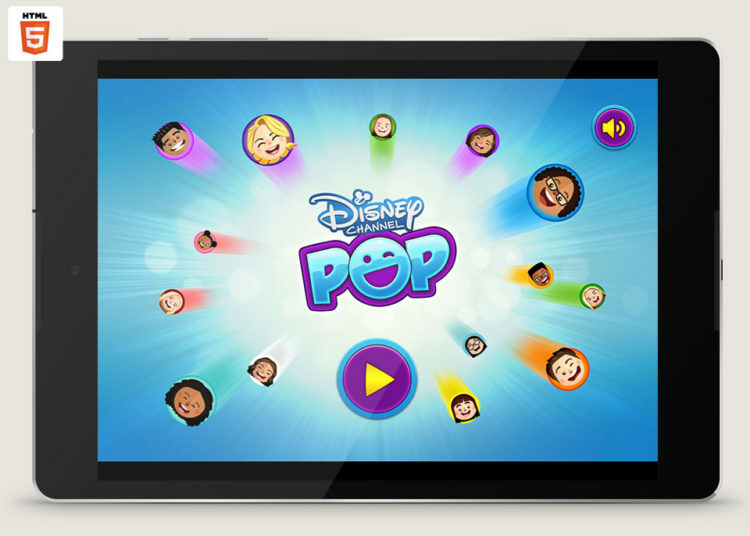 There are 20 princesses to rescue, including Princess Bubblegum, Lumpy Space Princess and Princess Cookie. 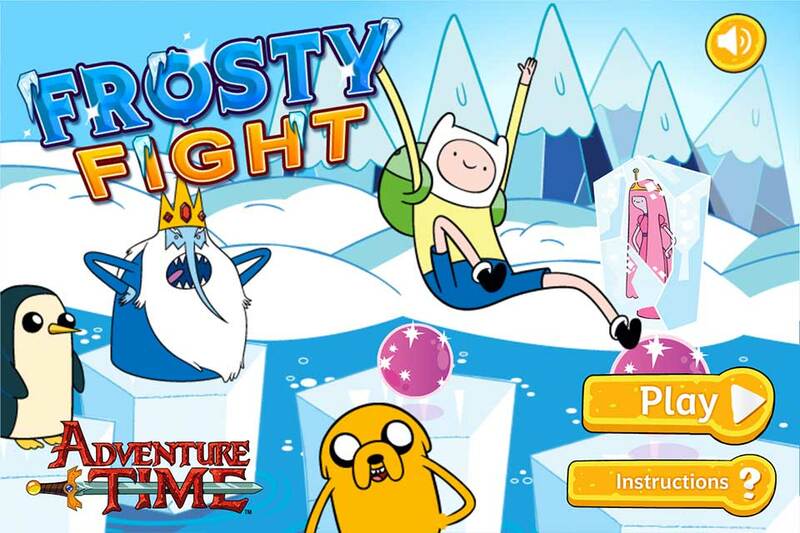 Although we’ve worked on many Cartoon Network games since 2001, Adventure Time is one of our all-time favourite shows so we were most pleased to get the opportunity to be involved on Frosty Fight.